Arcadia Ridge is located less than 4 miles from Loop 1604 on Potranco Rd. ; near Texas Research Parkway and 211. From 1604 W, turn right onto Wiseman Blvd. Stay on Wiseman until it dead ends at Talley Rd. Turn left on Talley Rd. Stay on Talley for 2 miles until Potranco Rd. Turn right on Potranco. Stay on Potranco for 1.5 miles and Arcadia Ridge entrance will be on your left. Once in the community (Arcadia Path) stay on Arcadia Path until Tripoli St. Turn Right on Tripoli. Gehan Homes models in The Estates section will be immediately to your left. From Hwy 90W/Loop 410; Exit onto Hwy 211N. Stay on 211N for about 3 miles until it dead ends at Potranco Rd. Turn right on Potranco Rd. Stay on Potranco for less than a mile. Arcadia Ridge entrance will be on your right. 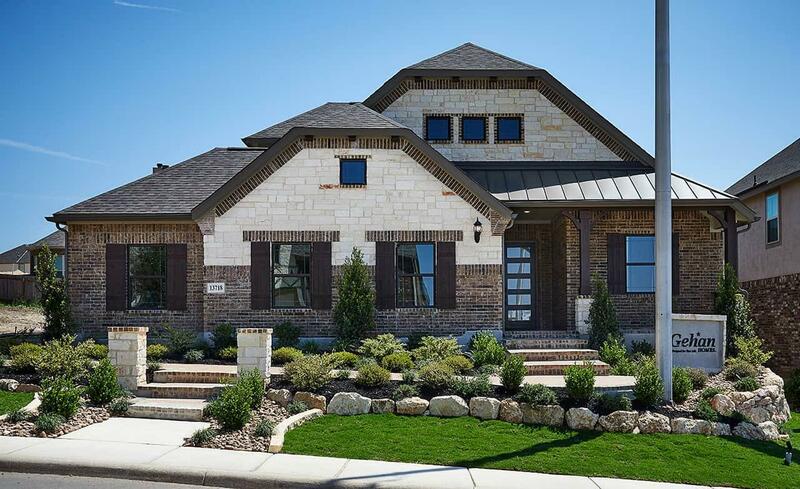 Whether you want to be close to work, the best schools or the most entertainment options or all of the above - Gehan Homes builds in over 60 communities and is sure to have a neighborhood for you! Prices and features subject to change without notice, verify price with sales agent. All square footages are approximate. All available homes subject to prior sale. Virtual Tours display the completed plan for viewing purpose. These tours are not an exact listing. There may be variations in some design features for this plan. Features and architectural differences are subject to the community where this plan is offered. Monthly payment examples are for informational purposes only. Based on 3.5% down payment, 4.25% fixed rate loan for a 30-year term. Payment examples do not include taxes and insurance. Information is not a quote or offer of credit. Other restrictions may apply.